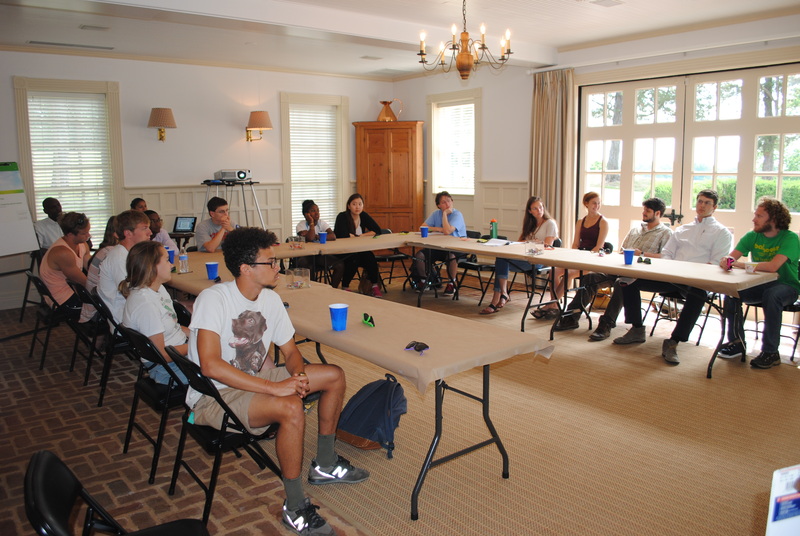 The 2015 Morven Summer Institute has begun! We arrived at Morven pretty early this morning to prepare for the students’ arrival. 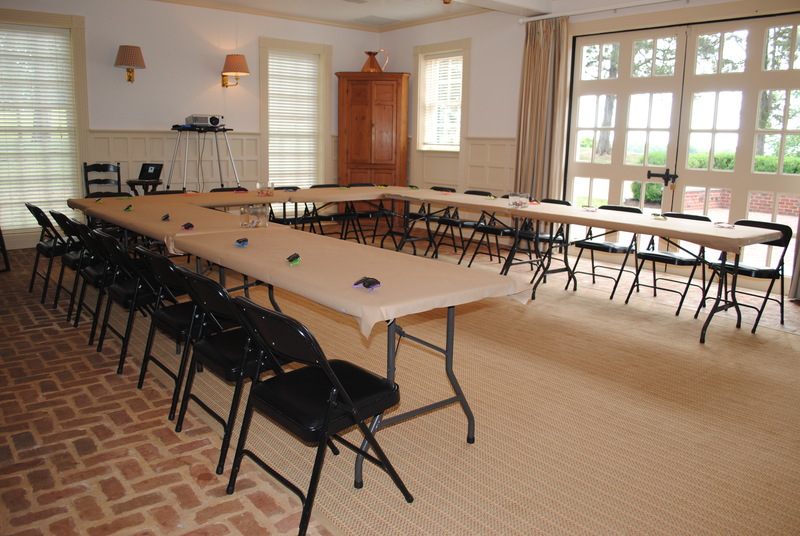 We moved furniture, set up tables and laid out the famous Morven sunglasses at each seat. Then, at 10:00 a.m. the students finally arrived! 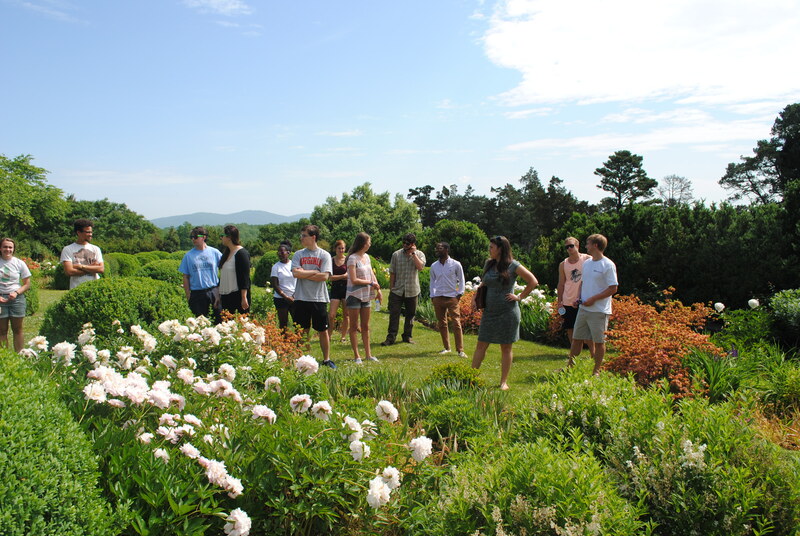 After introductions, we jumped straight into a tour of the grounds. 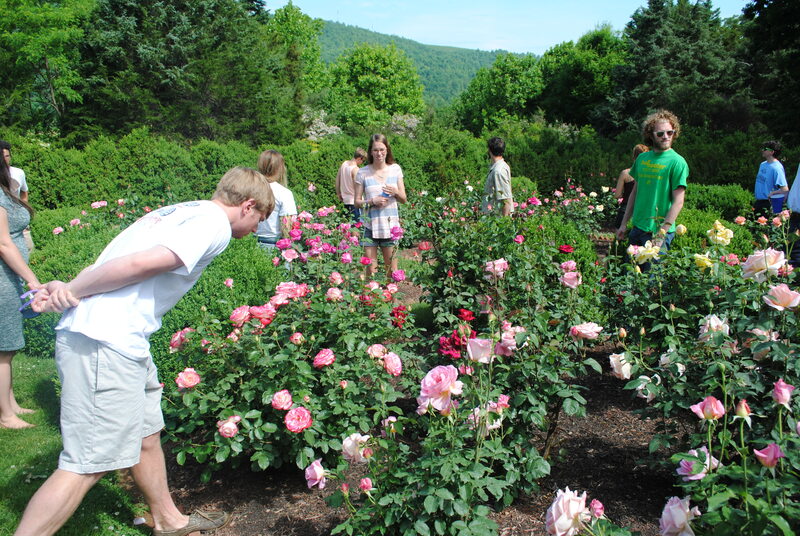 It was quite hot outside, but students got to see the various gardens and landmarks (and literally smell the roses). After the tour, we had a delicious lunch catered by Chipotle before splitting off into the two separate classes, Sustainability and Human Needs taught by Professor Garrick Louis and Agro-Ecology taught by Professor Manuel Lerdau. 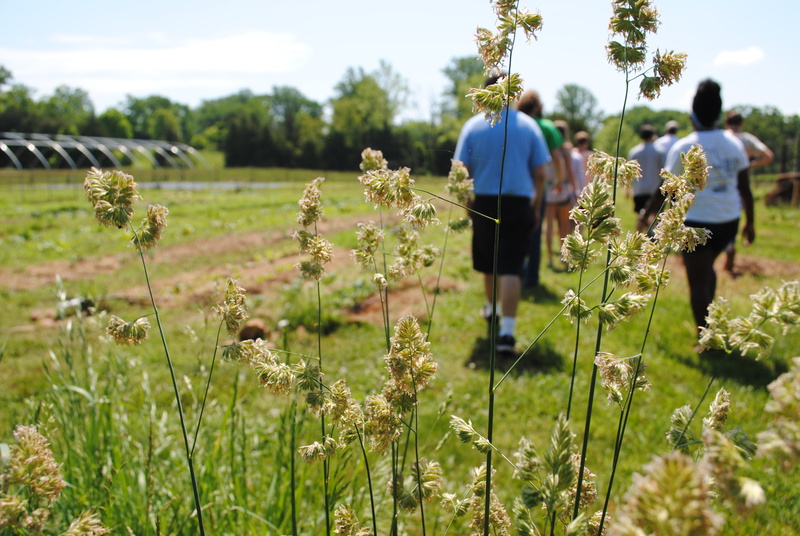 From what I could hear, the students in Professor Lerdau’s class are already planning their individual research projects in the Morven Kitchen Garden. We’ll check in with them, as well as the students of Professor Louis’ class, as the first week continues. Overall, it was a wonderful first day. We’re so excited to hang out with this group of students! Thanks to Whitney for snapping the tour photos while we ran to Chipotle. 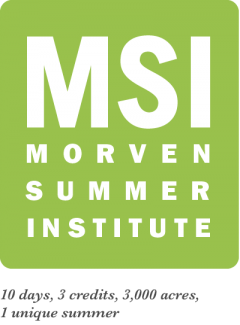 And thanks to the Morven Summer Institute support team for their hard work so far. We wouldn’t be able to do this without you!